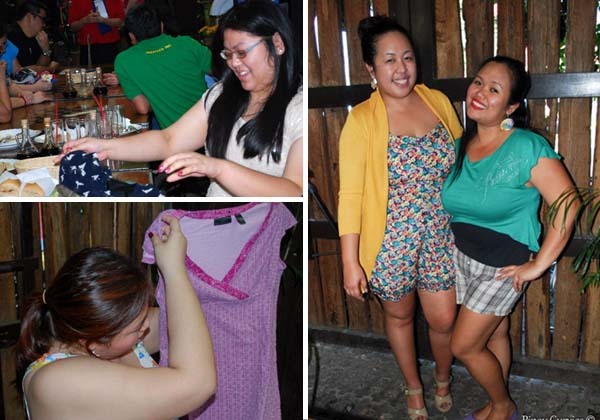 The brains behind the swap and the burgeoning group of Pinay Curvies are Mitch and Lorna. Two lovely, curvy girls, who, like many of us, have been looking for a support community where we can talk about fashion (Where to buy bras and bathing suits for the well-endowed, shoes for the wide-footed, plus-size deets, you know? ), frustrations (Finally, F21 PLUS is here! ), sales (Check this branch out!) and whatnot. 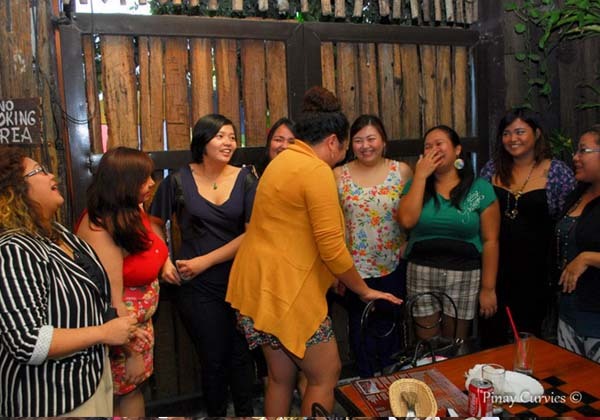 When I was first invited to the meet-up, I felt a mixture of both excitement and apprehension. Being plus-size in a land of skinny petites, I have had to shy away from the spotlight more times than I care to remember. Sometimes, the fear of the unknown and the horrible taunting of the past makes me want to hide behind the screen and reach out only in the virtual world where escape is merely closing the computer. Then I thought, how would I feel if I did not go? I was surprised to discover that the regret of letting this opportunity pass outweighed my fears by a mile, so off I went filled with good vibes for the day. 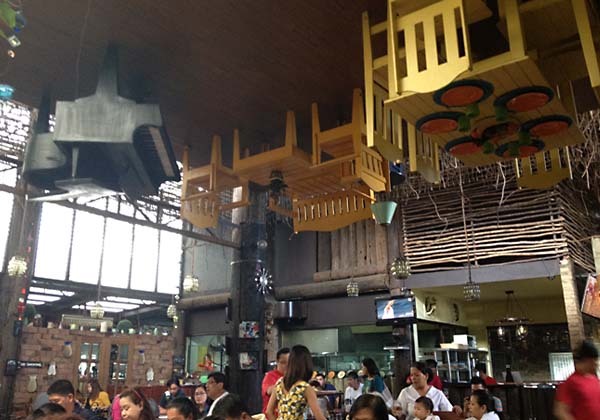 Arriving at the awesome upside-down establishment that is Pan de Amerikano along Katipunan road (It's quite far from Ateneo. The map lies. ), I found a group of bubbly curvettes already in the swing of things. While I could take some time to warm up, the ladies immediately made me feel welcome and at home. 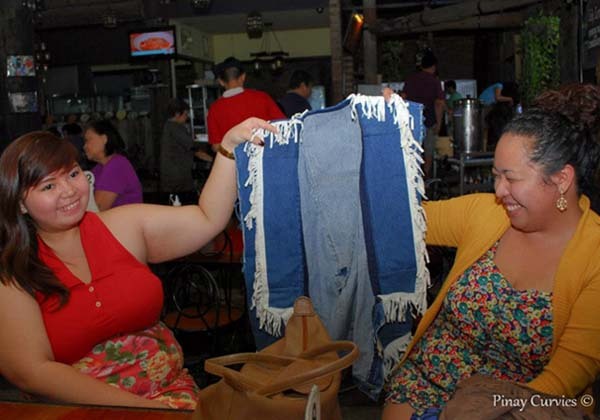 Giggles, anecdotes, laughter, bits of barbs and pre-loved clothing were exchanged, going from one Pinay to another and quickly passing the hours. I couldn't be happier that I decided step out of my comfort zone, attend the swap, meet lots of fab friends and partake in the building of this sisterhood. (Still pushing through with my NY's Resolve! Can I get a whoop-whoop?) It felt like these ladies and I were kindred spirits, and the experience reminded me that there's no greater feeling than that of acceptance. I guess, the only question left is... When's the next one? That is so wonderful for you guys! Celebrate each other!!! That looks like so much fun! Too long I hid from the world, scared of how people would make me feel. And then when I opened myself to people I met amazing, inspiring people that I loved and that made me love myself in turn. 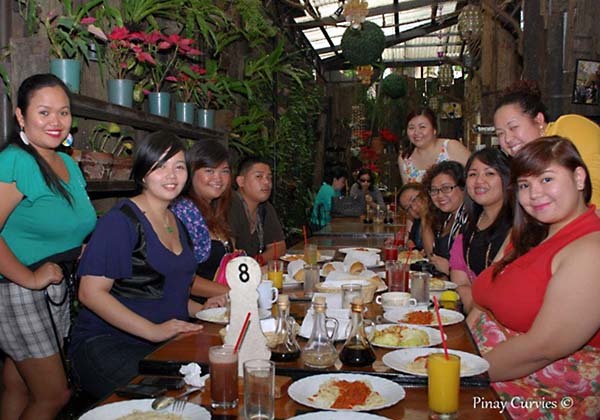 What an awkward, yet very cool place to have a blogger meet! I guess a meetup with someone as awesome as you are calls for an equally awesome place. :D You look cheery and lovely here. The other ladies at this meetup are also lovely as well. I know! 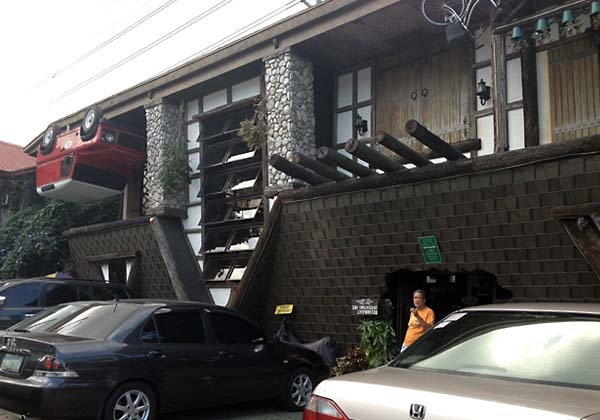 That place had me staring for a bit. Haha! It was indeed fun, Ivana! Great funfilled activity! Look at that roomful of beauties! Yes, gorgeous ladies with fab personalities! Yay! 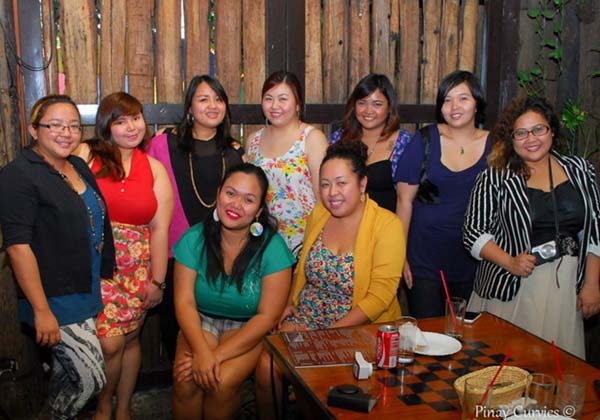 It's so awesome to find a group like that especially in the land of tiny petites! I too hate new situations and calling to strangers, so I am proud of you for stepping out! This is so cool. You look so happy and confident. I admire you all ladies. Thanks Katey! :D They're all amazing ladies!